A Quill Ladder is almost ready for release, as is the next installment in my environmental thriller, The Complicated Weight of Air. Both will be out in the next four weeks. Review copies of A Quill Ladder are available for a short period of time so if you are interested, please sign up for my email list. I wanted to finish my series on marketing your book, which I started in the spring and never quite completed—in part because I put the strongest strategies near the front and some of the ones at the bottom of the list are hardly worth talking about because they don’t really work. However, I’ve been meaning to write a post on cross-sales and participating in an anthology, which were on my original list. The two are related as of course—one would hope that participating in an anthology, if the anthology does well, will lead to sales of one’s own books. Normally when I prep these posts, I do as much research on the issue as possible. However in the case of cross-sales of books I really could not find any other data. So this post is based on my own experiences. I was lucky enough to be invited to be part of Synchronic: 13 Tales of Time Travel this spring. I was extremely excited to be in the company of all of the other amazing writers in the group, and most of them are better established in the indie and traditional publishing world than I am. Synchronic has sold well—very well. During a sale, and with the help of a Bookbub ad and a number of other promotions, it reached #16 overall in the Kindle store. More recently, as a result of being a Kindle Daily Deal, it again crossed over into the Top 100 in the Kindle store. These were very exciting days, but it has also sold consistently well between promotions and is continuing to sell well. In addition, as a result of the Bookbub promotion and sale, and the Kindle Daily Deal, I had the wild experience of being in the top twenty science fiction authors on Amazon—twice. There’s my smiling face there in the screen shot to prove it. So, what have I learned about cross-sales as a result of being in the top twenty science fiction authors on Amazon and participating in the Synchronic adventure? 1) Cross-sales are not do not appear to happen on the day or week of release or promotion of the bigger selling item. 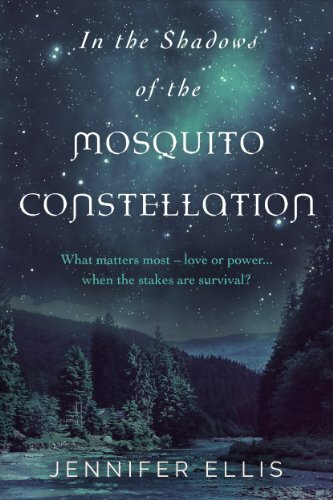 When Synchronic was scheduled to come out, I still did not have my adult novel, In the Shadows of the Mosquito Constellation out. I knew that Synchronic would likely do well on release, so I moved up my production schedule slightly thinking that I would be able to take advantage of cross-sales. There was no need to do so. Synchronic sold well on its first day out of the gates, but it did not contribute to any sales of my own books until about three weeks post-release. People had to first buy Synchronic and read it, and then decide that they liked my story enough out of the 13 to check out some of my other work. Many people did and sent me nice messages indicating that they had found me through Synchronic, and I will be forever grateful, but these cross-sales did not happen on the release day (or any of the promo days). I have found this to be similarly true for my own work. I hurried to get A Quill Ladder up for pre-orders to coincide with a promotion I did on A Pair of Docks. Again there was no need. Pre-orders have occurred, but not in the same week as the promotion. 2) Cross-sales are probably more likely to occur on books that are in precisely the same genre as the big seller. Synchronic is a time travel anthology generally geared toward adults. I write time travel fiction for children (although many adults like it) and environmental action-adventures for adults. These are not as aligned with Synchronic as might be useful. People who like time travel fiction in particular tend to be very genre specific and are not necessarily going to be interested in something slightly different. I certainly did not have time to write a novel on time travel for adults to release around the same time as Synchronic, but if I had been able to, it certainly would have been a good strategy. 3) Being in the top twenty science fiction authors on Amazon does not seem to influence sales at all. It’s fun though! My sales are usually pretty steady (which is a good thing), but I haven’t seen any spikes at all associated with being in the top twenty. Amazon’s algorithms and inclination to suggest books to people seem to be book associated not author associated. 4) Appearing in the also-boughts may or may not influence cross-sales. Everyone gets all excited about the need to appear in also-boughts in order to drive sales. I no longer appear in the also-boughts for Synchronic and in fact, neither do most of the Synchronic authors, with the exception of Michael Bunker and Jason Gurley and two of the others who have had very recent releases. We all appeared in the also-boughts for the first several months post-release. I do believe that appearing in the also-boughts helped my sales through July and August, and although I have noticed a slight drop off since I am no longer there, it is not significant. Overall, cross-sales are important, but are just another contributing factor in building an author reputation and brand. Synchronic certainly has helped get my name and work onto more people’s radar, and I believe it has positively influenced my sales. However it has not done so in a dramatic way. Nevertheless, I would not hesitate to participate in an anthology again. There were many additional benefits associated with participating in an anthology. It allowed me to build connections with other writers, many of whom I hope to work with again in the future. A writer’s work can be well… a bit solitary, and the camaraderie associated with a joint project is something that writers don’t always get to experience. Writing a ‘long’ short, or novelette, was also a new story arc length for me. And I also got to learn from some masters of marketing, Susan Kaye Quinn, who organized the super fun release day party, and Michael Bunker, who arranged the Bookbub promotion blitz. Observing their approaches to social media has also been very enlightening. What have your experiences been with cross-sales? 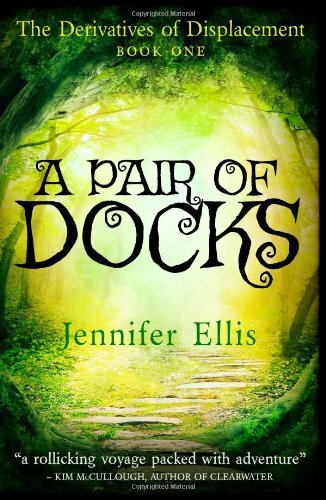 Since I'm about to launch A Quill Ladder, the sequel to A Pair of Docks, I will be able to report on buy-through sales on the series soon. I will also be updating my earlier 'Marketing Your Book' posts with more information regarding which promo sites work, and which ones have had limited effect. If you find my blog posts useful, please consider signing up for my mailing list. You can find it on the right hand side of my home page here.